Argonaute proteins play essential roles in RNA interference methods and also as a central component of the RNAi silencing complex (RISC). In mammals, the RISC is loaded with either micro RNAs (miRNAs) or small interfering RNAs (siRNAs) to regulate mRNA translation silencing or degradation, depending on the target. The family of Argonaute proteins are highly conversed and form a key part of the RISC complex. Due to this, they play key roles as RNAi ‘effectors’ and other related phenomena in organisms, which includes mammals, Drosophila and Saccharomyces spp. The roles of Argonaute proteins 1 and 2 (which, in Drosophila are named Ago1 and Ago2) have been researched the most. In Drosophila, Ago2 was identified by Okamura et al. (2004) as part of RISC and important for the siRNA-directed RNAi response. Ago2 is needed to unwind the siRNA duplex and therefore to assemble siRNA into RISC in Drosophila embryos. It has also been realized that Drosophila embryos defective in siRNA-directed RNAi can still achieve miRNA-directed RNA cleavage. This research suggests that several different proteins may carry out the Ago2 nuclease role. Ago1, which is used for RNA cleavage directed by siRNA, is needed to produce the mature RNA needed for miRNA-directed RNA cleavage (Okamura et al. 2004). Associations between Ago1 with pre-miRNA and Dicer-1 indicate that Ago1 may take part in miRNA biogenesis. Argonaute proteins play roles beyond RNAi-like mechanisms as they also influence cell development, and a subset of Argonaute proteins play roles in the determination of stem cells. Research by Cerutti et al. (2000) showed they are highly basic and formed from two domains, PAZ and PIWI, with a total weight of around 100 kD. PAZ is made of 130 amino acids and has been found by Bernstein et al. (2001a) in both Argonaute proteins and in Dicer. PAZ is not known to have any specific function but is believed to interact with other proteins to regulate dimerization processes. 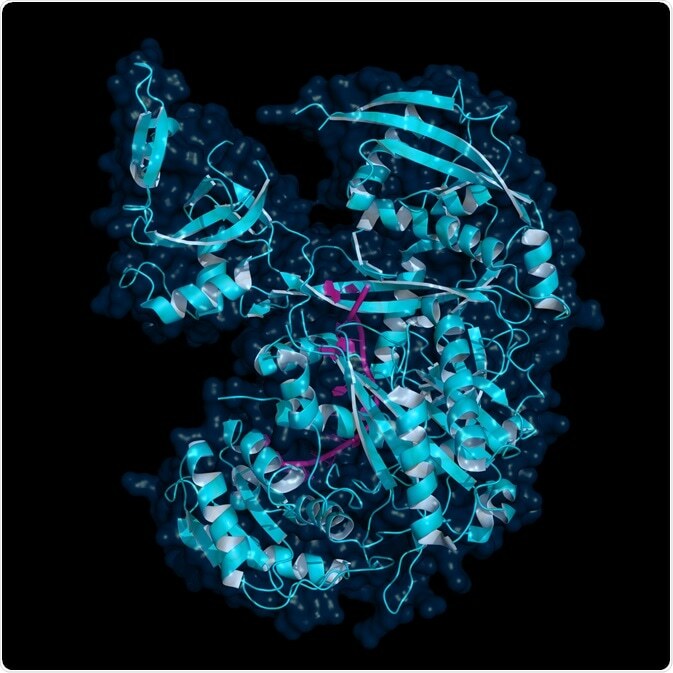 Other research suggested that the highly basic nature of Argonaute proteins facilitates binding to RNA. Research that supports this showed that when in vivo Miwi (a murine-based homolog of Piwi) is surrounded by a target mRNA complex (Deng & Lin, 2002) whereas in vivo Drosophila Ago1 is known to bind to ribonucleotide based polymers (Kataoka et al. 2001). In addition to the above, the fact alone that Argonaute proteins are part of RISC suggests they would interact with RNA. To determine how exactly these interactions occur, and the proteins precise function, more research must be undertaken.